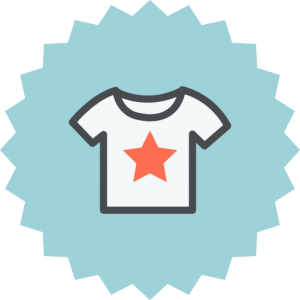 Be the first to get the latest shirts, jeans, jumpers, and t-shirts by browsing our online collection of popular web shops. This site gives an overview of apparel and clothes such as jeans, pants, slacks, trousers, skirts, dresses and shirts. Multiple styles of dress are shown for any occasion, from casual wear to work wear and formal wear. This site shows various websites that sell clothing from different brands. Brands range from Calvin Klein, Ralph Lauren and Tommy Hilfiger to designers such as Chanel, Gucci, and Dolce and Gabanna. Whether shopping for the newest trends, an outfit for a special occasion, or simply looking for something comfortable to wear around the house, it can be found on one of our web shops. The perfect clothes, shoes and accessories for every occasion: From casual and city chic to on-trend, office-ready and black tie, STYLEBOP.com offers a truly dynamic, thoughtfully curated fashion. Available payment options include wire transfer, PayPal, Sofort - Online bank transfer, credit card payment or cash on delivery. Delivery to USA is carried out on DDP (delivery duty paid) basis. It means that all relevant sales taxes, import fees and customs duties are included in the purchase price. 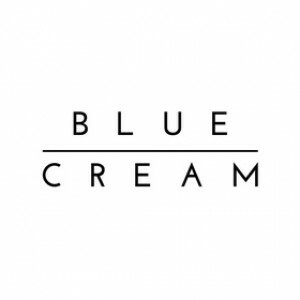 Blue&Cream (B&C) is a Hamptons and Bowery based multi-label Mens and Womens retail shop & online boutique. B&C is a lifestyle brand that transcends the 3 retail stores it is currently operating. In addition to the primary business of operating retail stores, the B&C Company has expanded into private label design of exclusive B&C t-shirts, sweats, skateboards and footwear. Blue&Cream accepts all major credit cards including American Express, Visa, and Master Card. They also accept payment via PayPal and Amazon. Blue&Cream are pleased to offer the full suite of Fed Ex's available shipping options. International shipping cost is based on several factors, including total cost of items, the weight of the package, and the destination. What began 20 years ago as tiny shop of organic cotton clothing, founded by owner and designer, Ling-Su Chinn, Planet Blue has grown into an international specialty designer and retailer that is redefining the world of boho-chic. Planet Blue is loved as the original purveyor of the beachy bohemian aesthetic inspired by its sunny Southern California roots. Planet Blue accepts Visa, MasterCard, American Express, Discover and PayPal. Free Shipping On US Orders Over $100. Shipping options are: USPS (2-8 business days – $5.99), UPS (1-6 business days – $7.99), 2nd Day Air (2 business days – $19.99), Next Day Air (Next business day – $27.99), Same Day LA-only (Same Day unless placed after 11am, then will be delivered the next business day – $19.99). 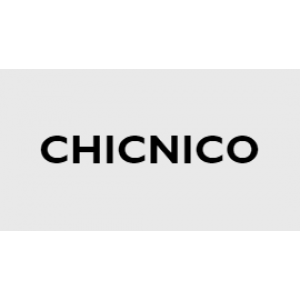 CHICNICO.com is a global online store boasting high quality clothes and other fashionable accessories. We aim to offer our customers a variety of the latest and most fashionable clothing.Our mission is to bring heart to commerce and become the better origin of fashion inspiration. Chicnico accepts Visa, Mastercard, American Express and PayPal. Zavvi offers Standard Delivery (USPS 5-10 days). Zaful.com is the leading one-stop online shop for women for today's most daring, exciting and edgy fashion apparels and accessories. Zaful.com offers a complete range of cutting edge fashion at preferential prices with Worldwide Free Shipping. Worldwide shopping is free for orders over US$30, otherwise it is US$6.99. Shipping take 15-30 days. Faster express shipping is also possible, but is more expensive. GEOX is the premier Italian footwear brand known for its invention of the “shoe that breathes". GEOX created a cult-like following in more than 100 countries with its breathable technology and stylish Italian design. Payment options Credit Card (Visa, Mastercard, American Express, JCB, Diners, Discover, Maestro) and Paypal. GEOX offers three shipping methods. Europe Basic (delivery 2-5 working days) Standard (delivery 3-4 working days) and Express* (1-2 working days). frilly was founded on a simple premise: you know best. Uninspired by the current throwaway, mass-production cycles and cookie-cutter pieces, we wanted an alternative; one that celebrated style, and individual expression. Frilly accepts all major credit cards including Visa, MasterCard, American Express. Order will take between 3-4 weeks to arrive. No expedited shipping at this time. Zavvi.com brings you with the best games, Blu-ray, DVDs, music and much more at low prices - plus they offer FREE delivery on everything! Zavvi offers various payment methods for your order including Visa, Visa Debit, Visa Electron, Mastercard, Switch/Maestro, American Express, Paypal, Adyen, and Alipay. 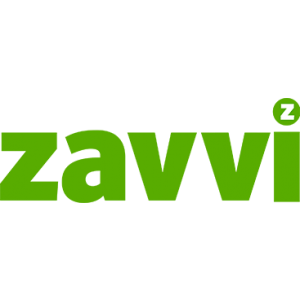 Zavvi offers Standard Delivery (5-10 Working Days – $5.49) and Tracked Delivery (4-9 Working Days – $15.49). PatPat is a daily shopping app for moms. Find fresh deals on high quality fashion and lifestyle essentials for women, children and babies. PatPat accepts Visa (including Visa gift cards), Mastercard, Discover, American Express and PayPal. PatPat partners with major international shipping companies such as DHL, UPS, Fedex, Aramex and EMS to offer two shipping methods: PatPat Express Delivery (4-6 days – FREE for orders over $99.00 otherwise $15.00) and PatPat Standard Delivery (FREE for orders over $35.00 otherwise $5.90 – 5-15 days). Oakley is one of the leading product design and sport performance brands in the world with products that world-class athletes depend on to compete at the highest level possible. Oakley.com accepts all major credit cards including Visa, Mastercard, Discover and American Express as well as PayPal. 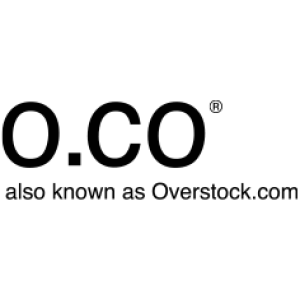 Oakley.com offers four shipping options: 1 Business Day ($25.00), 2 Business Days ($15.00), Standard Shipping (FREE for all Orders over $50, $8.00 for all Orders less than $50) and APO/FPO Standard Shipping (FREE). Since 1999 SuperJeweler.com has been offering amazing jewelry at the absolute lowest prices. We scour the globe looking for the best deals on diamonds, gemstones and fashion jewelry. Free worldwide shipping. Delivery in the USA takes 2-5 business days, international delivery takes 8-15 business days. Faster delivery included on higher order values.